Reviews For Steve Brown Etc. Steve and I are both old, white guys who also both went to BUSTH, a seminary in Boston. His ideas on Jesus and grace is excellent. Steve "Gets It"! He really understands the Gospel. Now there are two of us. Thanks for joining me Steve. I'm joking of course, their are many Christians who get it. 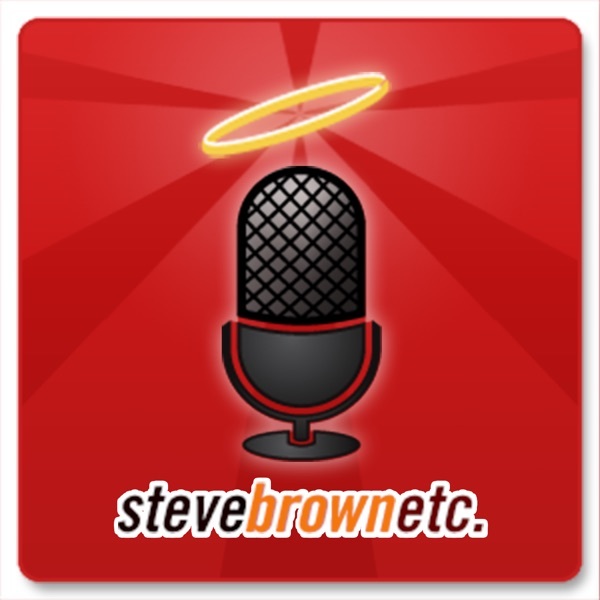 Steve Brown is amazing and I love listening to the interviews. I have found many new authors through this program! Steve Saved Me From Legalism! Despite the occasional (well, frequent) silliness and laughter, this is an honest and no-nonsense show. I don't always see eye-to-eye with the guests, but it's always thought-provoking and worth the listen. And very fun. Love these guys. Grace never tasted so good! Great guests. Very thought provoking and hillarious. The banter betweent the cohosts is enough of a reason to listen to this podcast; that or Steve's voice. But on top of that they have great guests and talk about interesting topics. Thanks for all you do! ...and he's brought friends! I listen to this almost every week. They'll interview anyone and treat everyone with respect and grace. Some of the standout interviews for me have been Tullian Tchividjian, Matt Chandler, and Paul Tripp. These guys are great! Steve is the opposite of what everyone thinks of when they think of an old, white, conservative preacher. This guy and his co-hosts are twice as funny as any other podcast I've found. The guests they have on the show are all incredibly brilliant people and I feel better for listening to their findings and the discussions had on the show. You don't have to be an old conservative Christian to enjoy this show and it's probably more enjoyable if you aren't! (Kidding of course) but I'm 22 years old and I enjoy what these guys talk about because they discuss life in a real way that's not only relevant, but also helpful. I can connect with what Steve says and with such a tremendous age disparity, that has to be the mark of an excellent communicator. You gotta download and listen to at least one episode, I listen to it in the car all the time on the way to work. It's just a great program that leaves you with something positive on your mind that you can think about and maybe even chat about with a friend. The show has a very nice dynamic...there's a freedom of spirit about it. And a bit of an irreverent, anti-religious agenda (which I think is a good thing, given the perception of religion in contemporary culture). Good guests. Interesting topics. The co-hosts are quick-witted and help keep the show moving along. As with most interview shows, guest mostly appear when they have something to promote...so there's alway some "selling the soap" going on...but I don't mind that. I've purchased some of the books myself after hearing the interviews. I find the show to have two shortcomings...one minor, the other a bigger deal. 1) Steve seems to be in love with the sound of his own voice. He has a nice, deep voice...but the way he draws out his speaking and enunciation becomes a bit tiring. It's sort of a throwback to radio driven by people with deep voices. I'd rather hear him "just talk" and let the voice be what it is. 2) The show feels too short. Often, when they are just getting to the heart of the matter in interviews, here comes another commercial break...and really destroys the momentum. I understand the need to pay the bills, but I would prefer that they spend a little less time with all the dancing around before and after ("we've known each other since...")...and at least a couple less jokes per show, and let the guests talk more. That being said, I think it's a great little podcast and have enjoyed pretty much every episode I've listened to so far. Definitely recommended. Enjoy and understand the world, move to a loving perspective with the world. Steve helps us relate and love others not condem. Jesus is the only way, he loved others and was tough on the self righteous. These are excellent podcasts that help with the above without being preachy. Something truly unique in Christianity! Steve is excellant in communicating and easy to listen to. May the old grey preacher stay with us a long time. I come from a strong church background with a long history of Christian faith, but find myself winding tight when listening to most religious broadcasts. I can unwind with Steve & crew. If you want to learn and laugh (even at yourself), give it a listen. Steve Brown is THE MAN! This is a great pod cast. The best that I have found on iTunes. It's so rare to find a show that deals with how faith affects our world in an insightful way, yet is able to poke fun at itself and have a good time. This show is like one of those ultra-chic fusion restaurants with unlikely, yet delicious, combinations. It involves a Christian perspective, yet kindly interacts with different camps. (What other talk radio program does that?) It is thought provoking, and genuinely funny...I didn't know these combinations were possible. In fact, I don't think I've ever heard anyone else do it. There's finally something on the radio with a Christian perspective that is not brainless dogmatism. Something on the radio that makes me think without trying to get me angry...a novel concept. Imagine a world with Christian media that I don't have to be embarrassed about! That world now exists.